Managed Meals creator, Jessica Kincl, has a long history in the food business, beginning with food service. She worked her way to become a food broker where she made helpful contacts and learned about the production and manufacturing of food products. In 2016, she launched a long-brewing concept of delivering healthy, prepped meals to people’s homes. Managed Meals has grown faster than expected, gaining the interest of gyms, schools, and hospitals. Before reaching out to Envoc, their original website did not meet the needs of the expanding client base, so we built a site capable of serving their growing and changing demands. 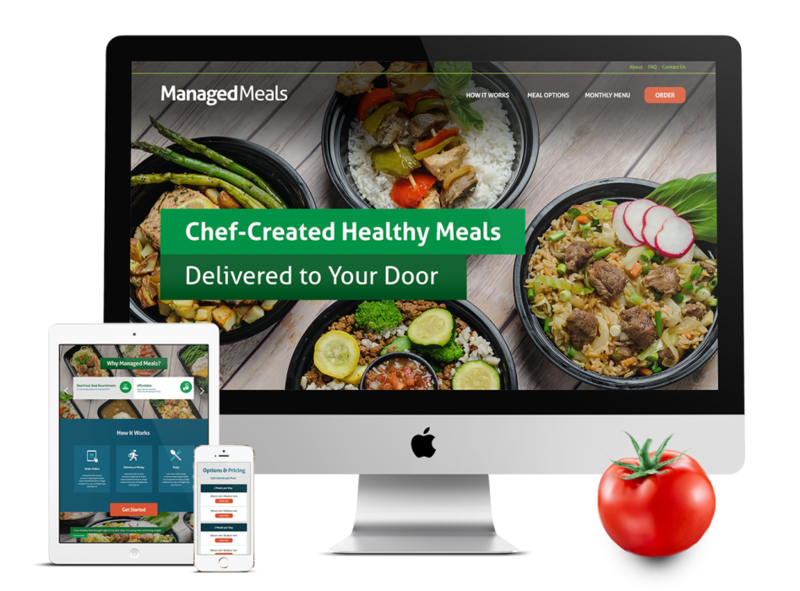 Managed Meals had only been operating for seven months when they realized they had already outgrown their website. The site was confusing they were receiving dozens of phone calls a day. Customers had a lot of questions about the process and ordering was complicated. Not only had the client base expanded, but the food and meal options had evolved and multiplied. Just as important, Managed Meals had a unique selling point and a great product, but there was no clear messaging or exciting presentations of what they had to offer. Managed Meals was growing so fast and in various degrees that Envoc thought it was best to start from scratch. 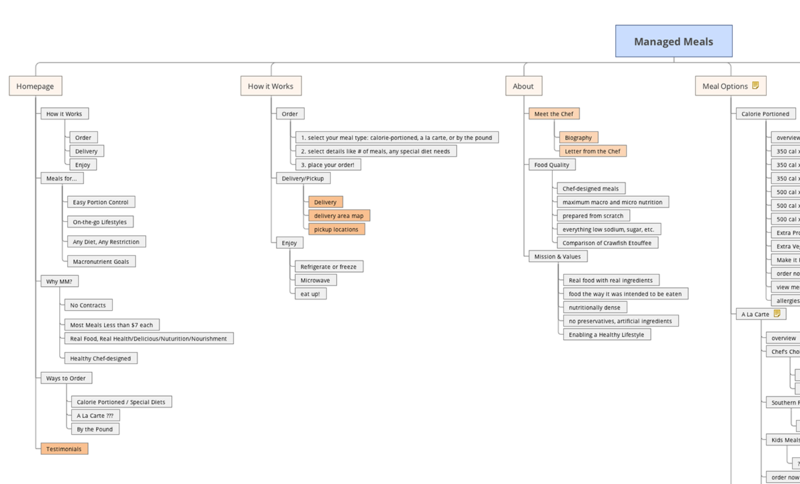 The previous website limited user knowledge, understanding, usability, and company growth. 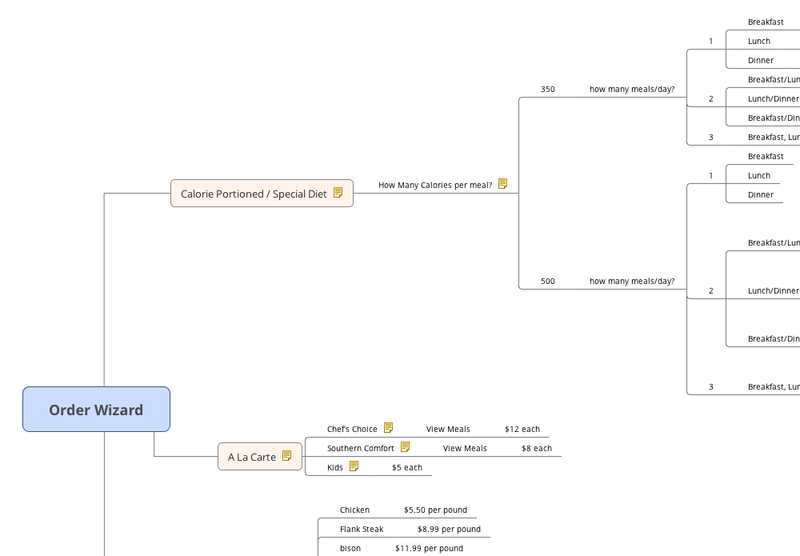 Managed Meals defined their three primary customer groups, each with particular needs. Our content team approached the project through each customer’s point-of-view, from discovery to purchase. We developed a content and copywriting strategy by considering goals for each customer group and anticipating user questions. While the needs for each group were unique, we refined the options to keep everything streamlined and to maintain the overall purpose of the website. We also understood that food can be an unpredictable and innovative industry with trends in cuisine popularity, market variations, and seasonal demands. For a company with so many opportunities for expansion, we examined their previous growth to choose the best solutions for cultivating future endeavors. The foundation of the project was choosing the most customizable CMS to allow for easy and quick updates to the menu and prices. Since customer options could change monthly or weekly, Managed Meals needed the accessibility to make changes quickly and with little alteration to design. The food was given star treatment with custom photography of the meals stretched across the home page. Visitors are immediately introduced to the variety of delicious Managed Meals dinners. A pain-free user experience was key to the success of the website, so we wanted the site to greet visitors with the main options (having trouble finding a word that I like here. Along the lines of “selling-point” but not that.) as prevalent as possible without disrupting the fresh new look. We designed a custom order wizard to make the process a guided hierarchy. beginning with the broadest options, and getting more detailed with Each choice affects the next, more detailed choice. There are no redirects, which allows customers to easily explore their options on one page. The e-commerce site provides an efficient customer experience and detailed reporting for Managed Meals to keep informed of their growing client base. We first met Envoc at a one of their Lunch and Learns about young entrepreneurs in Baton Rouge, and how to perpetuate the startup ethos. We walked away with complete admiration of what goes on behind the scenes at Envoc, and vibed off their visions and goals. When it came time to redesign our website, those same feelings emerged, and Envoc was the only choice for us. Through their talented design team, developers, and client support, we are able to visually express our company’s character and make an incredible first impression. They collaborated with me on important decisions, and made sure I was 100% satisfied before proceeding. Working with Envoc ensures you have cutting edge technology, and their super modern workspace always leads to the best collaborations! Envoc nailed our website, and will nail our app when that day comes.